Solar Attic and Gable Fans. Add to Favorite Sellers. Sign up to Newsletter. 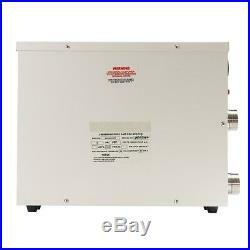 5000 WATT Renogy 250 Enphase M215 Micro inverter. You cant go wrong with Peak Solars free tech support. Installing your own solar energy system will save you big bucks on your energy bills. Peak Solar gives you all the tech support youll need to begin enjoying the benefits of solar power. Get Free Custom ROI Today! Your grid-tied solar system from Peak Solar comes with free round-the-clock tech support and huge savings on your utility bills. FIND OUT HOW BIG A SYSTEM YOU NEED! SOLAR PANEL KIT, ENPHASE MICRO INVERTER, 1175WaTT SYSTEM, RENOGY PANEL. Peak Solars 5000w-watt Grid-Tied Photovoltaic (PV) Solar Power System is the most affordable turnkey solar power system on the market. Designed for easy residential or commercial installation, this complete solar power system includes all the components youll need, including 240-watt modules by Renogy and Enphase Micro Inverter. This grid-tied solar power kit includes all the components youll need for easy installation. Kit includes the following components. Electrical drawing and tech support – FREE! 20x Renogy 250 Poly A Grade panels. 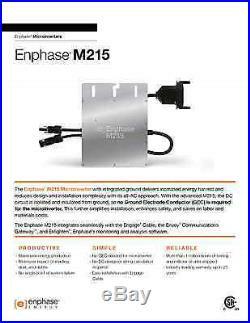 20x Enphase M215 Micro Inverter. 1x Enphase Energy Managemnet Unit(EMU). 1x Portrait Cable with 5 Connectors for M215, with Install Kit and Cable Clips. 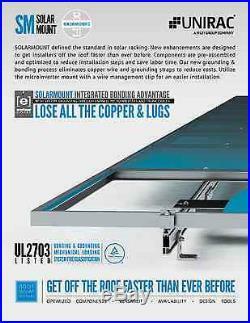 UniRac SolarMount-I flush mount. 12x 144 SM-I 1.0 Beams. 36x Mid; Clamp “D”. 8x End; Clamp “D”. 52x One Flange Attachment w/lag bolt. 12x Splice Kit with grounding. 24x UGC-2 Grounding Clip. 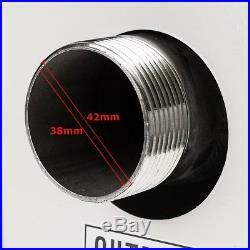 4x Unirac Grounding Lug. For a quote with Unirac Solar Mount Racking that will suite your homes need. 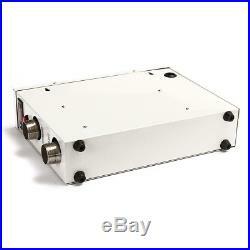 High-power module (250W) with high module conversion efficiency. Bypass diodes minimize the power drop caused by shade. Modules independently tested to ensure compliance with certification and regulatory standards. 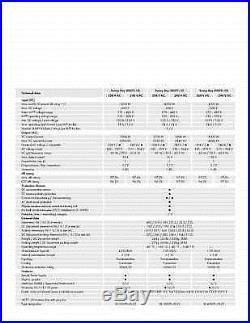 UL Listings: UL1703, CUL. Positive Only Power Tolerance: 0-+3%. 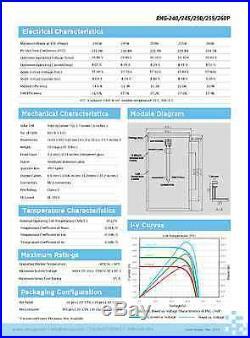 High Mechanical Load Strength: Product to Withstand High Wind Loads (5400Pa) and High Snow Loads; (5400Pa) in Accordance with IEC 61215. Fully Automated Production Line: Better Soldering, Better Cell Spacing Tolerance: ±0.3mm, Better and More Consistent Product Qualityss. Maximum Rated Power at STC. Voltage at Maximum Power (Vmp). Current at Maximum Power (Imp). Open Circuit Voltage (Voc). Short Circuit Current (Isc). Module Efficiency m(%). 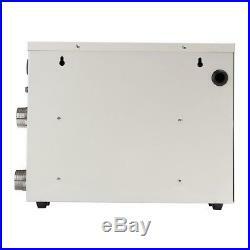 1640×990×40mm(64.6×39.0×1.6inch). Cable Cross Section Size. 4mm²(0.006sq. In). Resilient dust, debris and shading. 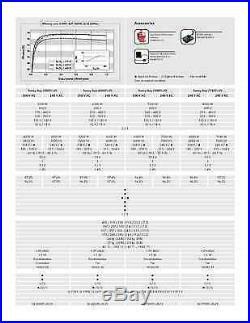 Performance monitoring per module. No single point of system failure. System availability greater than 99.8%. Quick & simple design, installation and management. 24/7 monitoring and analysis. Free Technical, Engineering and Installation Support. Peak Solar, LLC is a leading supplier of photovoltaic components and solar kits. 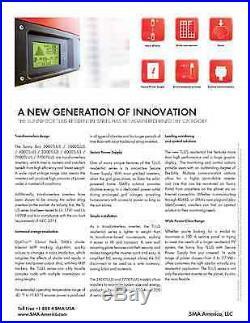 We provide turnkey PV systems for residential, commercial and industrial applications. Our team has been in the Solar Industry for 10 years and have installed everything from 200 kw Solar Farms in PA to 5 kw systems in CA. Typical kits include all high quality components, including solar panels, inverters, cables, all essential hardware and electrical components. Our knowledgeable management and contract engineering team have the experience to design, procure, install and maintain large scale PV projects as well. Wire transfers will recive a furthur dicount. Local pick-up is available for this item. Please call for information on purchasing an item and self pick-up. It is the purchasers’ and users’ responsibility to determine the suitability of a product for any particular use. Check all applicable industry, trade association, federal, state and local regulations. Read and understand all cautions and warnings before ordering on this web site. All prices are subject to change without notice. All information is accurate to the best of our knowledge. Errors may occur in product descriptions, prices or photo are subject to correction. Reproduction or distribution of any content within this site is forbidden without the written permission from Peak Solar LLC. Feedback is very important to us. The item “Solar Panel Kit with Enphase m215 Do It Yourself for Home 5000W 5kw Complete” is in sale since Tuesday, May 26, 2015. 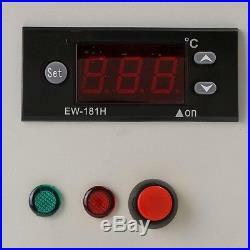 This item is in the category “Home & Garden\Home Improvement\Electrical & Solar\Alternative & Solar Energy\Solar Panels”. The seller is “peaksolar” and is located in Kingston, New York. This item can be shipped to United States. 5kw Solar Panel SMA Inverter PV Home System Kit!! You cant go wrong with Peak Solars free tech support. Installing your own solar energy system will save you big bucks on your energy bills. Peak Solar gives you all the tech support youll need to begin enjoying the benefits of solar power. Your grid-tied solar system from Peak Solar comes with free round-the-clock tech support and huge savings on your utility bills. 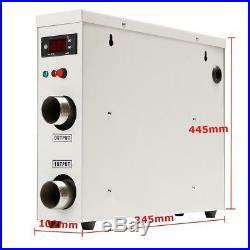 SOLAR PANEL KIT, SMA TL INVERTER, 5KW SYSTEM. Peak Solars 5kw-watt Grid-Tied Photovoltaic (PV) Solar Power System is the most affordable turnkey solar power system on the market. 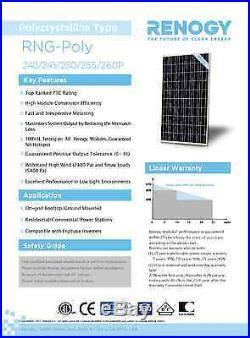 Designed for easy residential or commercial installation, this complete solar power system includes all the components youll need, including 250-watt modules by Renogy and SMA TL Inverter. This grid-tied solar power kit includes all the components youll need for easy installation. Kit includes the following components. Electrical drawing and tech support – FREE! 20x Renogy 250 Poly A Grade panels. 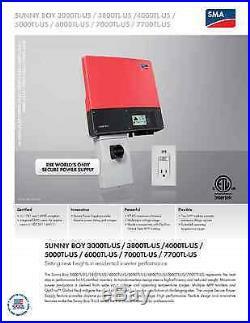 1x Sunny Boy 4000US Inverter. UniRac SolarMount-I flush mount. 10x 144 SM- Rail. 36x Mid Clamp “D”. 08x End Clamp “D”. 36x One Flange Attachment w/lag bolt. 8x Splice Kit with grounding. 362x UGC-2 Grounding Clip. 4x Unirac Grounding Lug. For a quote with Unirac Solar Mount Racking that will suite your homes need. 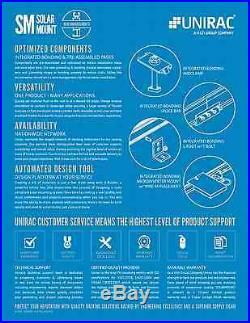 Free Technical, Engineering and Installation Support. Peak Solar, LLC is a leading supplier of photovoltaic components and solar kits. We provide turnkey PV systems for residential, commercial and industrial applications. Our team has been in the Solar Industry for 10 years and have installed everything from 200 kw Solar Farms in PA to 5 kw systems in CA. Typical kits include all high quality components, including solar panels, inverters, cables, all essential hardware and electrical components. Our knowledgeable management and contract engineering team have the experience to design, procure, install and maintain large scale PV projects as well. Wire transfers will recive a furthur dicount. Local pick-up is available for this item. Please call for information on purchasing an item and self pick-up. It is the purchasers’ and users’ responsibility to determine the suitability of a product for any particular use. Check all applicable industry, trade association, federal, state and local regulations. Read and understand all cautions and warnings before ordering on this web site. All prices are subject to change without notice. All information is accurate to the best of our knowledge. Errors may occur in product descriptions, prices or photo are subject to correction. Reproduction or distribution of any content within this site is forbidden without the written permission from Peak Solar LLC. Feedback is very important to us. Add to Favorite Sellers. Sign up to Newsletter. The item “North Carolina 5 kw Solar Panel SMA Inverter Complete PV Home System Kit” is in sale since Saturday, September 19, 2015. 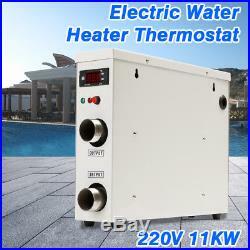 This item is in the category “Home & Garden\Home Improvement\Electrical & Solar\Alternative & Solar Energy\Solar Panels”. The seller is “peaksolar” and is located in Raleigh, North Carolina. This item can be shipped to United States. 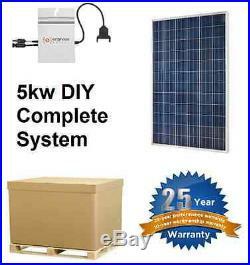 5kw Solar Panel SMA Inverter PV Home System Kit!! You cant go wrong with Peak Solars free tech support. Installing your own solar energy system will save you big bucks on your energy bills. Peak Solar gives you all the tech support youll need to begin enjoying the benefits of solar power. Your grid-tied solar system from Peak Solar comes with free round-the-clock tech support and huge savings on your utility bills. SOLAR PANEL KIT, SMA TL INVERTER, 5KW SYSTEM. Peak Solars 5kw-watt Grid-Tied Photovoltaic (PV) Solar Power System is the most affordable turnkey solar power system on the market. Designed for easy residential or commercial installation, this complete solar power system includes all the components youll need, including 250-watt modules by Renogy and SMA TL Inverter. This grid-tied solar power kit includes all the components youll need for easy installation. Kit includes the following components. Electrical drawing and tech support – FREE! 20x Renogy 250 Poly A Grade panels. 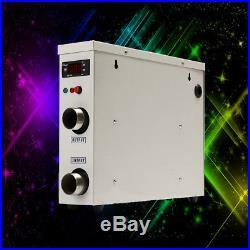 1x Sunny Boy 4000US Inverter. UniRac SolarMount-I flush mount. 10x 144 SM- Rail. 36x Mid Clamp “D”. 08x End Clamp “D”. 36x One Flange Attachment w/lag bolt. 8x Splice Kit with grounding. 362x UGC-2 Grounding Clip. 4x Unirac Grounding Lug. For a quote with Unirac Solar Mount Racking that will suite your homes need. Free Technical, Engineering and Installation Support. 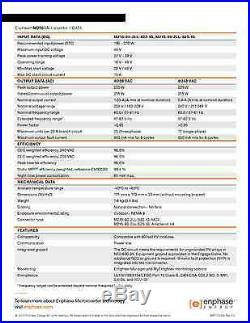 Peak Solar, LLC is a leading supplier of photovoltaic components and solar kits. We provide turnkey PV systems for residential, commercial and industrial applications. Our team has been in the Solar Industry for 10 years and have installed everything from 200 kw Solar Farms in PA to 5 kw systems in CA. Typical kits include all high quality components, including solar panels, inverters, cables, all essential hardware and electrical components. Our knowledgeable management and contract engineering team have the experience to design, procure, install and maintain large scale PV projects as well. Wire transfers will recive a furthur dicount. Local pick-up is available for this item. Please call for information on purchasing an item and self pick-up. It is the purchasers’ and users’ responsibility to determine the suitability of a product for any particular use. Check all applicable industry, trade association, federal, state and local regulations. Read and understand all cautions and warnings before ordering on this web site. All prices are subject to change without notice. All information is accurate to the best of our knowledge. Errors may occur in product descriptions, prices or photo are subject to correction. Reproduction or distribution of any content within this site is forbidden without the written permission from Peak Solar LLC. Feedback is very important to us. Add to Favorite Sellers. Sign up to Newsletter. 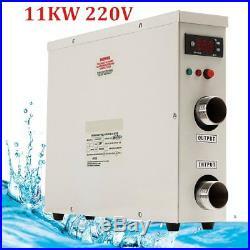 The item “4.8 kw Solar Panel SMA Inverter Complete PV Home System Kit” is in sale since Thursday, April 11, 2013. 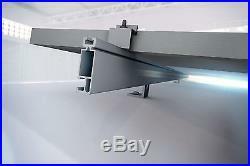 This item is in the category “Home & Garden\Home Improvement\Electrical & Solar\Alternative & Solar Energy\Solar Panels”. 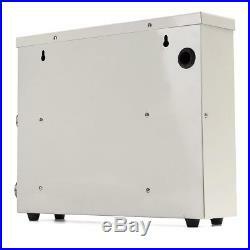 The seller is “peaksolar” and is located in San Diego, California. This item can be shipped to United States.